Oh how I love a good mystery and this one definitely fits that bill. This one is well written, and reminds me of watching one of my favorite crime shows. 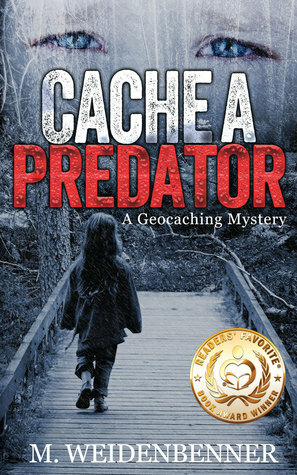 You can visualize everything in this story, even for someone that has never done any or knows anything about geocaching. You will become irritated when you have to take a break to get stuff done, because all you will want to do is to keep reading. I hate these "commercial breaks" just like I do when watching my favorite shows. I have read some of Michelle Weidenbenner other books including Scattered Links, and part of her children's books, Eclair series. I love all of her books but I really love her adult books, including this one. She has an innate ability to draw the reader in, and getting the reader to empathize and genuinely care about the characters. They are so realistic. She brings emotional events to life. You won't know what is real and what is fiction. I don't know if this book is based on real events but it definitely feels like it could have happened. I give this book 5 stars. I will definitely be recommending this book to my friends and readers. This book is not appropriate for all audiences. Some of the situations deal with abuse including sexual abuse. Then, of course, the crimes themselves are not for the feint of heart or squeamish. However, the author deals with the subject matter without sensationalizing or trying to shock the reader. It is done in a tasteful way if that is possible. 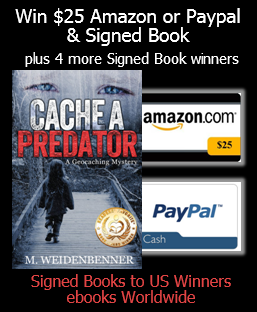 Thanks for reading CACHE --and all my other books. Wow, that doesn't happen every day. I appreciate the review, and I'm thrilled that you liked it and will recommend it! Yay! I hope your Thanksgiving is full of love and great food!